Mystery/Thriller masterminds James Hunt, author of “Death Notes”, and Roger Hayden, author of “The Abducted”, which have collectively accumulated 250+ five-star reviews come together in this SUPER BOX SET for the first time! That’s TWO complete book SERIES comprised of FIVE NOVELS at a discounted price! To rescue her daughter from a killer, one mother has to play his deadly game. A child predator known as the Snatcher is presumed at-large throughout South Florida. To some, he’s a ghost. To others, he’s evil incarnate. To Sergeant Miriam Castillo, he’s the monster who kidnapped her daughter, Ana, leaving behind a horrifying crime scene. With Ana’s life hanging in the balance, Miriam enters a nightmarish world to face a remorseless villain who has terrorized her community for far too long. But the Snatcher will also have to contend with the wrath of a woman with nothing to lose. Hell hath no fury like a mother scorned. The body count in Baltimore is rising, and the weight of those lives rest on Homicide Detective Adila Cooper’s shoulders. It’s only a matter of time before the killer strikes again, and the sands of the hour glass have already started sifting away. 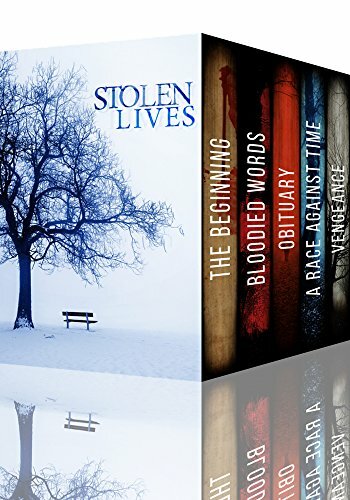 This is the Kindle version of Stolen Lives: A Detective Mystery Series SuperBoxset that you can also download and read on your computer and mobile phone. Kindle books are DRM protected and therefore, unlike ebooks that are in PDF or ePUB format, you cannot read this ebook without the official Kindle apps.